This corporation aims at the protection breeding of the natural treasure Akita dog and fixation of the figure shape based on its essence, improves various elements, contributes to the development of culture by the Akita dog in Japan, develops abroad as a world dog breed Purpose with the spirit. 2. 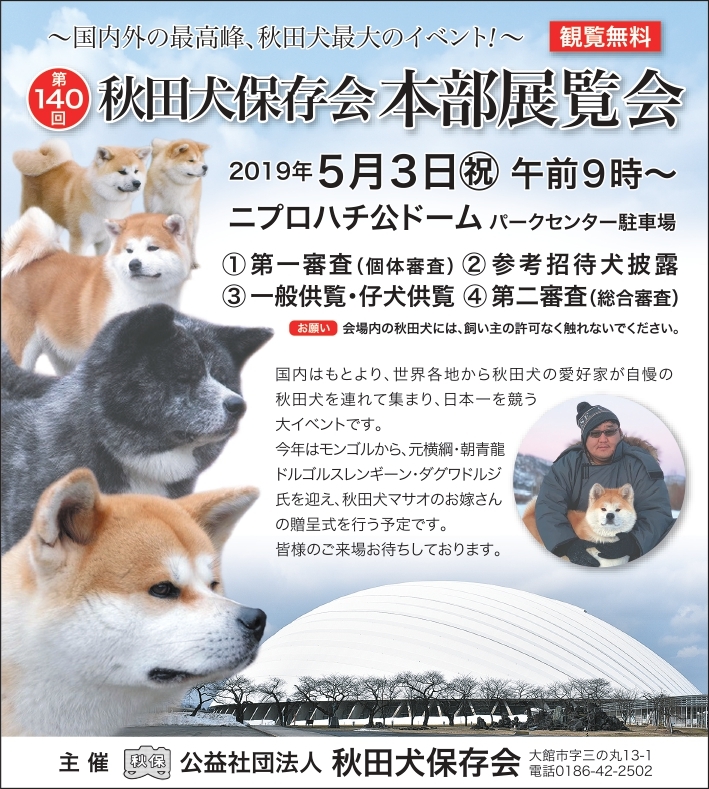 Akita Dog guidance and training on holding exhibitions, appreciation meetings and research meetings, round-table discussions etc.